At one point during the race, I turned the corner and witnessed the parade of spectators cheering on all the runners. There must have been thousands of people screaming for us. My heart pounded hard and my smile lit up so wide that my face started to hurt. 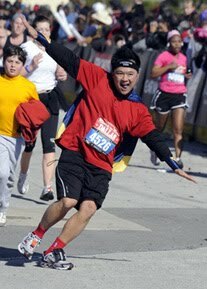 The runner's high lifted me as I flew to the side to high five the cheer leaders. Every person made eye contact with me as they reached out to slap my hand. The chants of "Endorphin Dude! Endorphin Dude!" rang through my ears. Never have I experienced this kind of crowd support at a marathon before. But what did I expect? This was not just any ordinary foot race. In the running world there are five grand stages: Berlin, Boston, Chicago, London, and New York City. 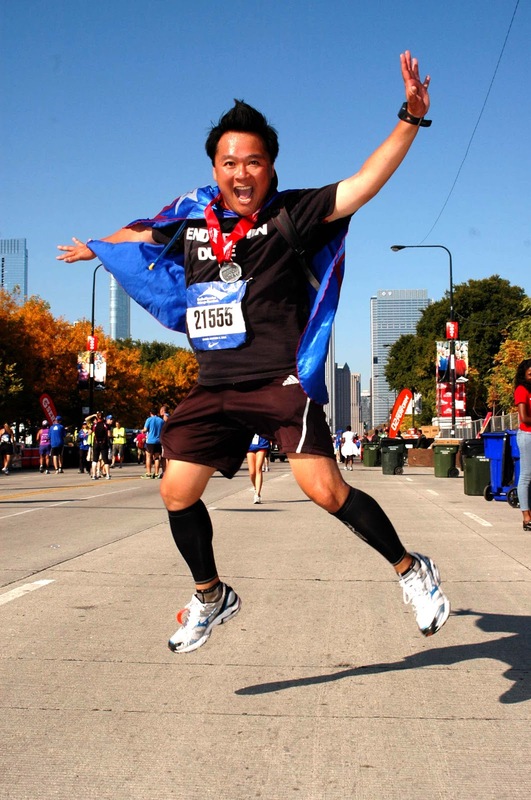 These are the five world marathon majors, and today I crossed the finish line of the Chicago Marathon! What an incredible experience. I have run many marathons up this point but I have never experienced anything like this. It was like the whole state of Illinois came out to support the runners. I came to Chicago with very tired legs, having just completed the Tahoe Triple and then a 39.3 mile combination the following week. My big concern was getting to the finish line within the six and a half hour cut off time. 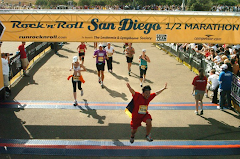 Once I found my groove on the course, I knew I had no problems, as there were 45,000 runners out there with me. As long as I kept a steady pace, I would make it. Sure enough, I did, and it certainly helped that I had all my Marathon Maniac friends out there to make sure that I stayed on my Titanium track! Lots and lots of Marathon Maniacs! 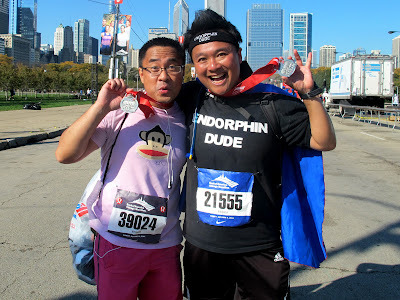 The Chicago Marathon left me completely speechless for 26.2 miles. It's not every day that a non-elite runner like me can say that he got to run one of the five world major marathons. 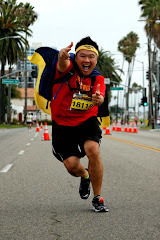 Along with the awe-inspiring crowd support, the volunteers and other runners on the course cheered me and everyone else on. Once I hit the half way point, I stopped worrying about the cut off time and soaked up all the positive energy all the way to the finish line. I was so antsy at the start line. I wanted to fly! 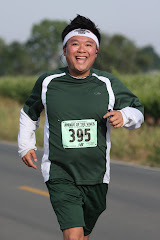 For the first mile, I ran at a 8:46 pace. My second mile I ran at a 9:42 pace. I knew I was in trouble! The excitement of being in Chicago got to me and I charged out! By mile three, I slowed significantly down and caught my breath. How could I not get excited? 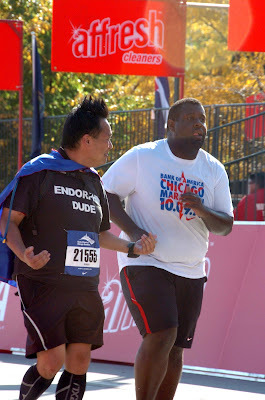 I was running THE CHICAGO MARATHON! What's the male version of Lady Ga Ga? Lord Gu Gu! 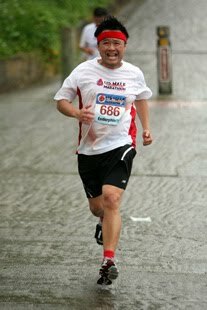 I think I took a shot of GU at this point in the race. One of my all time favorite signs at a marathon. When I hit mile 24, I noticed a guy struggling. I could see it in his step and in his eyes. He looked defeated. 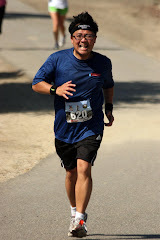 The two of us had been keeping pace all the way back at mile 18, but I could see that he was ready to throw in the towel. I moved over to him and introduced myself. I asked how he was doing, and sure enough, he admitted that he was struggling. 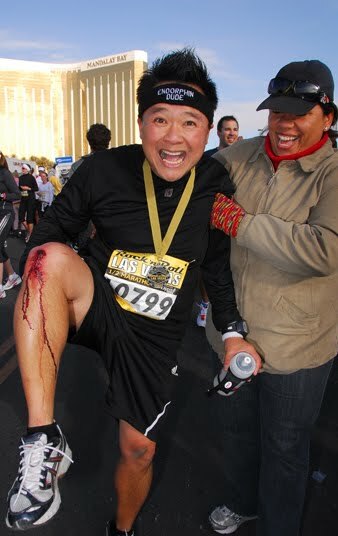 He explained that this was his first marathon and that his legs were cramping up and he just didn't wanted to do it anymore. I looked him straight in the eye and said I was going to get him to that finish line. I knew he could do it, and he did! Sure enough, I stayed with this first time marathoner all the way up to the end, and when we crossed the finish line, I could see his pride emerge. 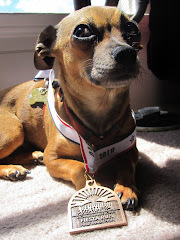 When it was time to collect his bling, I took the medal from the volunteer and placed it around his neck. This guy finished strong, and I was so proud of him! There have been many times when I struggled to get to that finish line, so I really wanted to be there for this guy. I'm sure he could have gotten to mile 26.2 on his own, but I'd like to think that I helped him out just a little by keeping his spirits up and mind off of the pain. We definitely shared a special bond for 2 miles. I congratulated this young man and wished him the very best. Yes, we are two different people! Me and my Marathon Maniac Family! 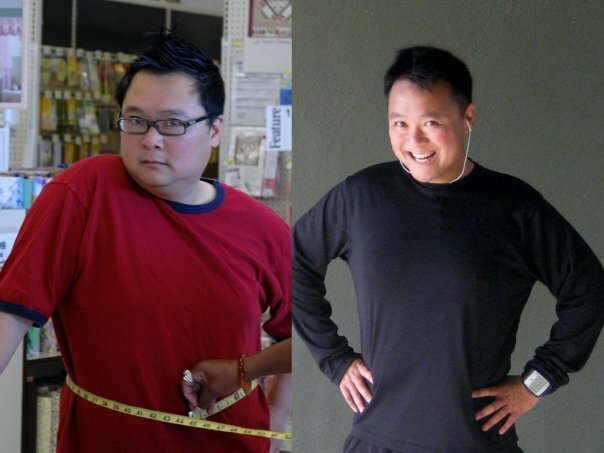 From left to right: Randy Donaldson, Heather Ziegler, Lori Alderman-Denton, and Lien James. I have to give a huge shout out to Kristin Fancsalszki Schmelz. Without her, I don't think I could have made this trip out to Chicago. This Titanium quest is killing my wallet, and I almost had to drop out of this race. Kristin opened her home to me, and for that, I am very appreciative. 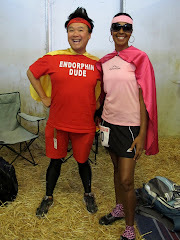 Kristin made it easy for me to run one of the world's five major marathons, and what an incredible experience it was! With my medal around my neck, I shouted out to all of Chicago, "HEY EVERYONE! I JUST RAN THE CHICAGO MARATHON!!!" I couldn't help myself. The runner's high was just too much. I was smiling ear to ear as I limped along the rest of the day. Titanium Score Board: 34 Down, 18 to go! I love this post! Chicago seems like a long time ago (it kind of was), but this brought back a lot of memories from following your posts on that day. I'll bet you were smiling a lot as you got into writing this post!